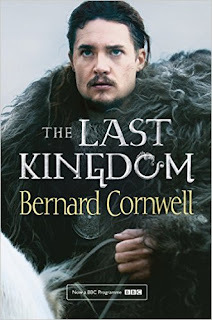 This epic tale is a fictional memoir of Uhtred, son of Uhtred who's destiny was forged in battle between the pagan Viking warriors and the pious Christian Anglo-Saxons in 9th century Britain. "My name is Uhtred. I am the son of Uhtred, who was the son of Uhtred and his father was also called Uhtred. My father’s clerk, a priest called Beocca, spelt it Utred. I do not know if that was how my father would have written it, for he could neither read nor write, but I can do both and sometimes I take the old parchments from their wooden chest and I see the name spelled Uhtred or Utred or Ughtred or Ootred, and I look at the deeds which say that Uhtred, son of Uhtred, is the lawful and sole owner of the lands that are carefully marked by stones and by dykes, by oaks and by ash, by marsh and by sea, and I dream of those lands, wave-beaten and wild beneath the wind driven sky. I dream, and know that one day I will take back the land from those who stole it from me." I'm a big fan of historical fiction. I love it because I like being transported to different worlds that existed in different times. Though I usually read historical fiction by women such as Phillipa Gregory,Juliet Marillier and Marion Zimmer Bradley. I thought I would try something from a more male perspective such as Bernard Cornwell who is the critically acclaimed author of the Sharpe Stories, of an English soldier in the Napoleonic wars. The Last Kingdom is the first in a series of books known as The Saxon Stories; The Last Kingdom, The Pale Horseman, The Lords of the North, Sword Song, The Burning Land, Death of Kings, The Pagan Lord, The Empty Throne and Warriors of the Storm. In this story I like how the old ancient towns and cities are referred to in their original names. Also many of the characters in this story are real such as Guthrum the Unlucky, Ubba Lothbroksson and King Osbert of Northumbria. Uhtred is the son of a Ealdorman Uhtred a saxon noble who faces the vikings at a bloody battle at York resulting in a massacre for the saxons. Uhred's father dies in battle and his fate as a viking is decided when enraged with battle lust at York he tries to take on a most feared and respected viking responsible for killing his father,Earl Ragnar. Rather than kill the boy he sees something in Uhtred. Rather than kill him he takes him first as a slave, then as a son. 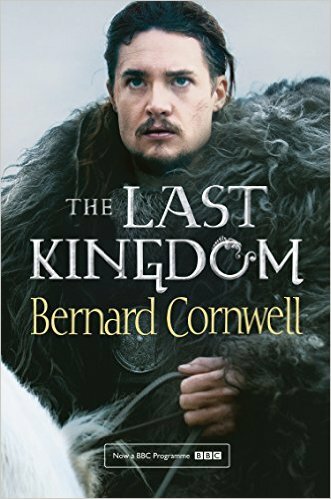 Uhtred is raised by vikings but with their vicious and war hungry attitude he feels for the first time in his life that he belongs. He is with his people and lives a life governed by honour and joy rather than laws and strict religion. Despite being a slave he lives a life of pure freedom. However his fate is subject to many twists and turns and he soon faces hard choices of conflicting loyalty. Above all he needs to survive and take back Bebbanburg, his father's fortress stolen by his uncle. This is a truly remarkable book that draws you in and keeps you captive. Uhtred as a narrator is incredibly charismatic and many of the characters have a remarkable realness to them. You'll find yourself laughing with Uhtred, weeping with Uhtred and fighting with Uhtred.